In 2016 I became a statistic. I decided to leave the corporate ladder, the one I had dedicated so much of my life to climb. I started to redefine what work could be. I joined 780,000 women around the world who in 2016 made the same decision. I am part of the leaky talent pipeline. So what is happening to these smart, ambitious women? Women who have sharpened their skills, honed their crafts in organisations around the world? Organisations invest thousands of dollars, hundreds of hours training and development in shaping our careers. Then, why do we leave? And where are we going? And before you think all the women are like me. They are not. Research shows that we are not all mothers. But, interestingly 43% of mothers do opt to leave the workforce. There is something in that statistic, businesses must look at making it easier for mothers to remain in the workforce. We have different backgrounds; different levels of education each of us have reached different levels of the corporate ladder. BUT there is one thing that unites us. The one thing that unites every single woman, no matter who she is, what she has done leaving the talent pipeline is this. For some women, it was all about time. She wanted time to do what she wants to do. For others, it was about freedom, freedom to work when and how she wanted. For others, it was that insatiable thirst for more, more meaning, more purpose, more passion in the work that she does. So how do you as a business remain profitable, offering a return on investment for your shareholders while answering the call of more? One of the most frustrating experiences over a lifetime as a recruiter is this; job hunting is a box ticking exercise. I’ll explain. Recruiters, get briefs from clients. I want a candidate who has done X, Y, Z to do job X, Y, Z. But here is the thing, she who has done X, Y, Z is probably by now completely bored of X, Y, Z and she wants to explore A, B, C. So why don’t you give her a chance? Potential based recruitment opens up a world of possibilities because what you are getting is a completely fresh set of eyes. You are giving someone the opportunity to develop and grow their skill base. Yes, you may have to spend a little time developing them. They may not be able to “hit the ground running” but when you recruit the right person for the job, the reward is limitless. Instead of ticking a box, focus on what her strengths are. Look at what how she can add value to the team with her unique perspectives, her life experiences. It’s human nature. When we see it been done before, we automatically think, we can do it. Think about it. Until 1961 no one had ever been to outer space. Yuri Gagarin was the first man to venture into space on 12th April 1961. He inspired others to think what was possible and in 1969, Neil Armstrong was the first human to walk on the moon. We need to have strong women role models to help inspire us to see what is possible. I’ve recently worked with one of the most amazing female business leaders in Australia. Her executive career spans over 20 years, and she has a seat in some of Australia’s premier boards. She shared her experiences of how when climbing the ladder; there wasn’t much comradery within the sisterhood. It’s not only having strong women role models but how can we as women work together to help lift each other up? How can we connect with other women and share our stories to help empower and inspire someone else? 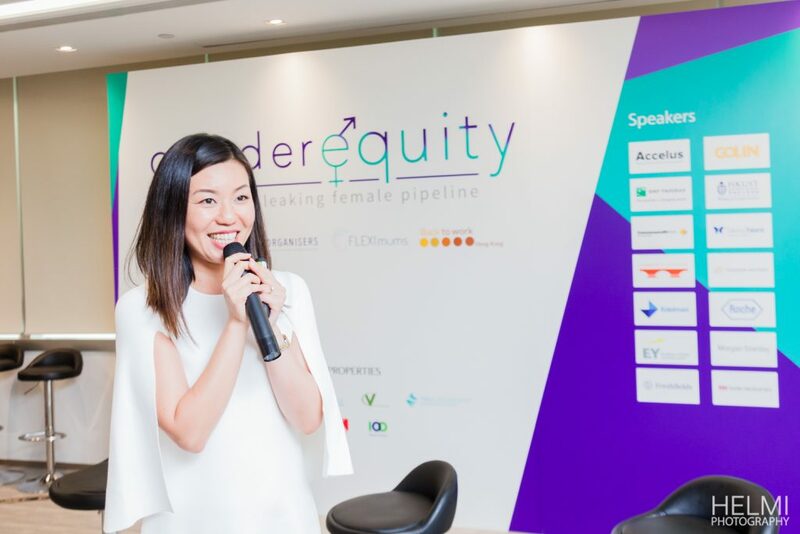 Last week I spoke at a Gender Equity Conference in Hong Kong, and I was blown away by the amazing people I met, one of these faces was a millennial woman, identified as “high potential talent” by her organisation. Even with this feedback, she still struggled to see what lies ahead for her in her career. She was still battling self-doubt and imposter syndrome. One of the most critical career accelerators for your female talent pipeline is to offer tailored career development. A combination of internal and external development targeting mentoring, sponsorship and coaching. Accelus Talent has been partnering with Global 2000 businesses on career coaching high-potential talent. We can delve on a deeper level to help address deep-rooted issues and bring clarity that might not be shared with internal development resources. The results have been astounding. Not only has there been an increase in engagement but an increase in performance. Our alumni have gone on to reach for stretch assignments, taken new roles and responsibilities and have been promoted internally. The latest statistics show its 170 years until we reach gender parity. The question is will your female talent pipeline wait? The truth is they all want more, it’s your job to help them achieve it. Want to do work differently? Bring a fresh new approach to talent and work with Accelus Founder and CEO, Phebe Cho.